Welcome to Cedar Creek Estate, perched on top of Mount Tamborine. Our vineyard location has three beautiful locations for the perfect wedding ceremony at Mount Tamborine. 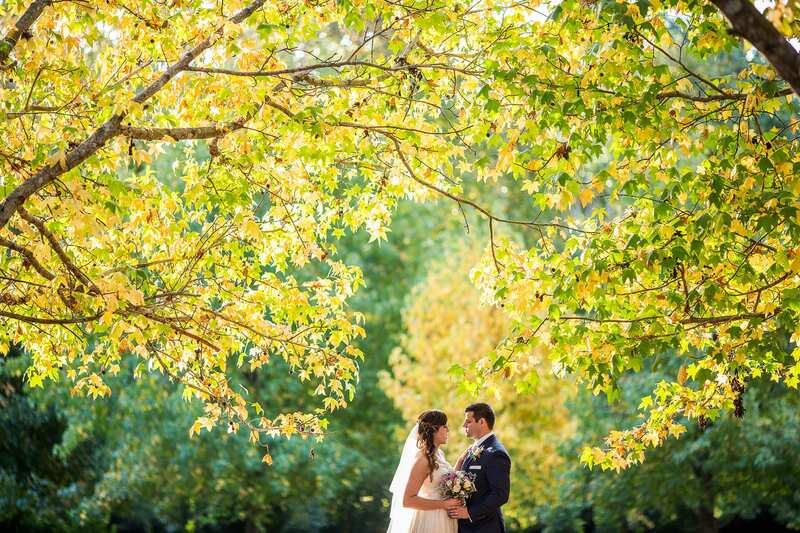 The Estate has a charming non-denominational sandstone chapel, set overlooking the vineyard and tree-lined lake or for couples that prefer an outdoor garden wedding, we have a gorgeous garden arbour that overlooks the lake. The beautiful grounds at Cedar Creek Estate offers endless photographic opportunities including the tree-lined driveway, vineyard and acres of Liquid Amber trees. If you are looking for the perfect hinterland wedding venue that is close enough to the city to be convenient, then Cedar Creek Estate is for you. Imagine holding your ceremony and reception in one of the most naturally stunning locations in Queensland, at Tamborine Mountain. Enjoy the region’s finest food and wine with friends and family. We are proud to offer some of the best value wedding packages Gold Coast wide, with a choice of ceremony location, either in our Chapel or outside in the gardens. Cedar Creek Estate has three beautiful locations for the perfect wedding ceremony at Mount Tamborine.